Gsus Music Therapy Services & Center is a privately owned and operated music therapy practice and music studio and lessons provider located in the Hill Country of the South Central Texas area. We proudly provide exceptional music therapy services for adults, the elderly, married couples, groups, facilities and organizations across a wide range of therapeutic needs. We work with individuals through the broken places in life (from in the womb and the birthing process of perinatal hospice, minors and their families dealing with medical conditions, PTSD, anger management, trauma and recovery, addiction recovery, pain management, stress, communication, marital concerns, motor skills, functional life skills, cardiovascular health, wellness, palliative care, depression, burn out, stroke recovery, and much more), until hospice and death and through the grief and bereavement process. Music therapy is the clinical and alternative medical intervention and therapeutic application of music and musical elements to address non-musical needs within an individual. At Gsus we also offer and teach applied music lessons for individuals who desire to learn new, or improve existing, music skills; and we offer adaptive music lessons for individuals with special needs. We also offer music therapy-based performing ensembles through the nonprofit branch of our practice, Gsus Harmonies Nonprofit, for individuals with intellectual and developmental disabilities. Based in San Marcos, our treatment team of Board Certified Music Therapists are passionate about providing therapeutic experiences, lessons, and music interactions that are engaging, comforting, familiar, and welcoming for you or your loved one. 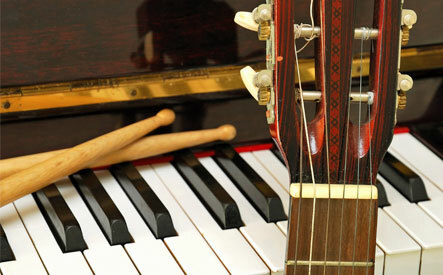 Gsus Music Therapy Services & Center, LLC provides services in-home, in-facility, or at our center. Are you interested in learning more about our services? Would you like to make a referral for services? Are you thinking about learning a new instrument or singing? Do you have a loved one who you think could benefit from performing?